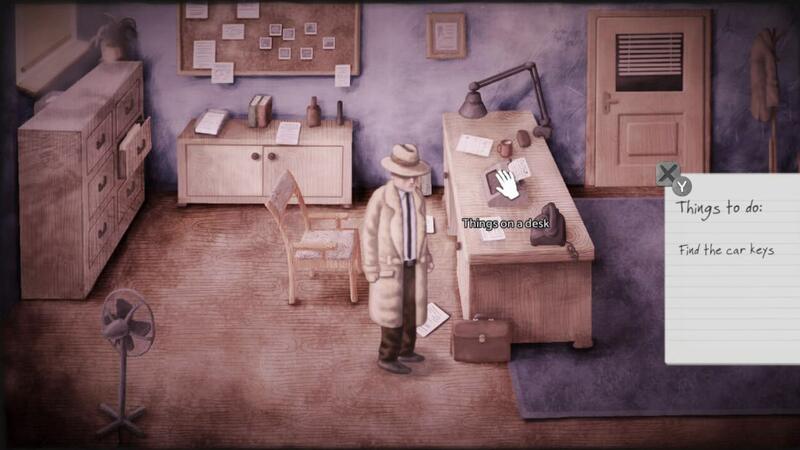 SONKA and All Those Moments have announced that Earthworms will release on Nintendo Switch next week, an abstract point-and-click adventure in which you play as private detective Daniel White. In a surreal world with locations that take inspiration from American realist painter Edward Hopper’s work, White, who has parapsychic abilities, must solve investigations with the help of his visions. What he thinks is a typical missing person case soon leads him to uncover a global conspiracy in an adventure that promises the thrill of horror mixed with a dose of humour, beauty, ugliness, and weirdness. Now redesigned for Nintendo Switch, you can choose to play with a single Joy-Con, Joy-Con, Nintendo Switch Pro Controller or, in Handheld Mode at least, the touch screen. Earthworms will release on the Nintendo eShop for Nintendo Switch on August 24th priced at €7.99 ($7.99), and can be pre-ordered in advance for €4.99 ($4.99).